If you had doubts that the age of mobile computing was well upon us, the graph below should shake your convictions a bit. 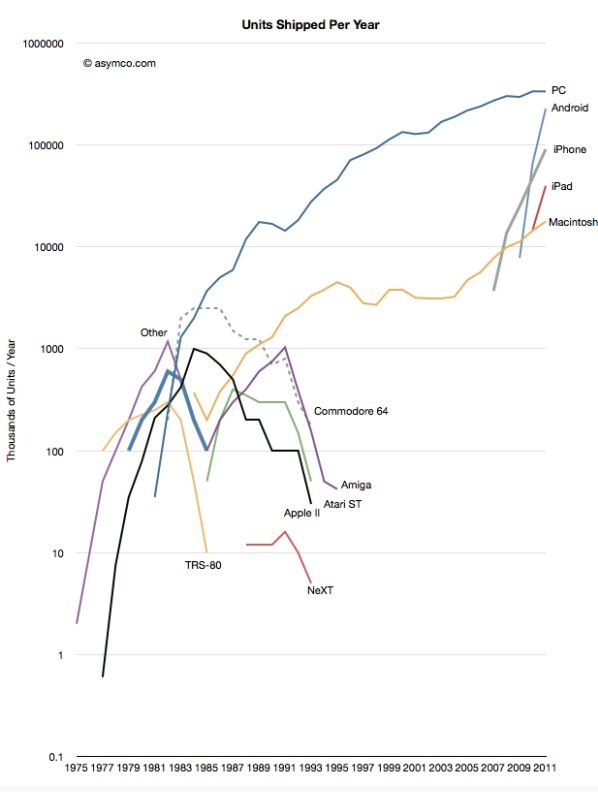 Put together by Horace Dedieu of Asymco, it shows the long rise of the ‘PC’ as a computing device, compared with the sudden appearance and meteoric rise of the major mobile platforms. Personal computer units shipped are shown from its appearance in the mid-70’s and broken out into several major platforms including the ‘PC’, a designation that appears to be applied to Windows-capable machines. Android and iOS, as represented by the iPhone and iPad, appear very late on the timeline and display a massive angular momentum of growth. Just as the PC market is flattening off (although the Macintosh market, even ‘sans iPad’ is still rising) mobile devices are thrusters go in growth. Dedieu reports that, by his estimates, Android should pass up ‘PC’ units shipped this year and iOS will join it at some point next year. While these figures are based on actual data from Gartner, the predictions are based on Dedieu’s estimates. While he styles himself as an ‘independent analyst’, we’ve been following the numbers that he has presented for some time and found them to be very accurate, if a bit bullish when it comes to Apple’s growth numbers. 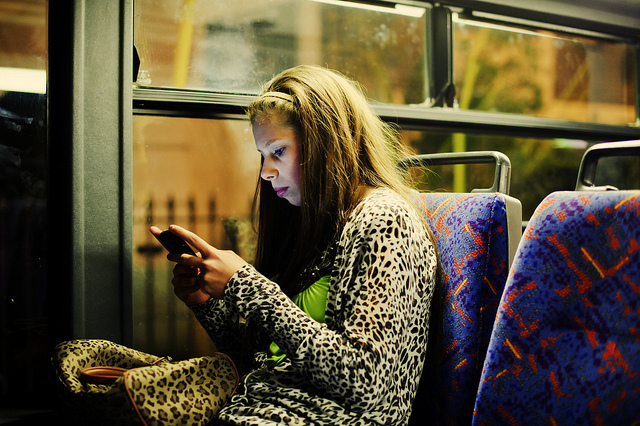 The rise of mobile platforms shouldn’t be a huge surprise, as growth has been stupendous over the last decade. But only within the last 5 years have we seen it kick into overdrive with the adoption of iOS and then Android en masse. Within the next few years, we may very well see the PC line on this chart begin to slope downwards, rather than just level off, as mobile devices become more capable and more prolific.